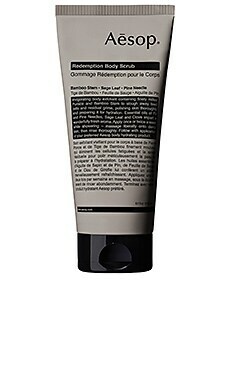 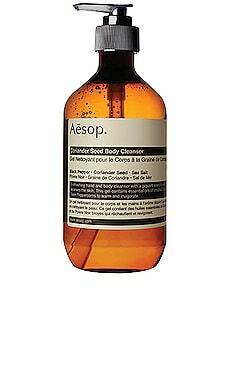 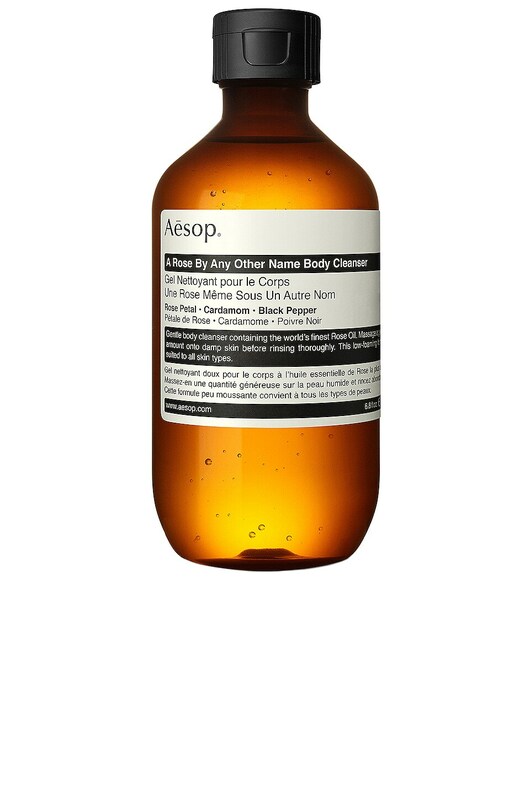 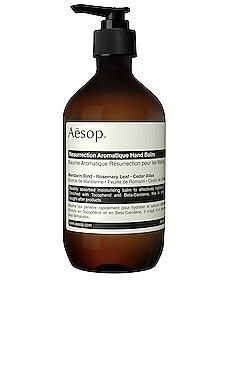 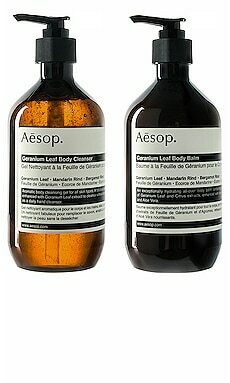 Aesop Geranium Leaf Body Cleanser is a botanically enhanced gel formulation that gently works to remove grime, leaving the skin cleansed, refreshed and beautifully scented. 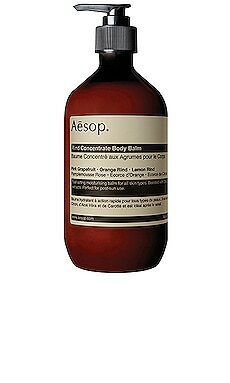 Water (Aqua), Sodium Laureth Sulfate, Coco-Betaine, Cocamide MIPA, Propylene Glycol, Phenoxyethanol, Sea Salt (Maris sal), Citrus Aurantium Bergamia (Bergamot) Fruit Oil, Citrus Nobilis (Mandarin Orange) Peel Oil, Pelargonium Graveolens Extract, Ethylhexylglycerin, Polysorbate 20, Magnesium Nitrate, Citric Acid, Methylchloroisothiazolinone, Magnesium Chloride, Methylisothiazolinone, d-Limonene, Citronellol, Linalool, Geraniol. 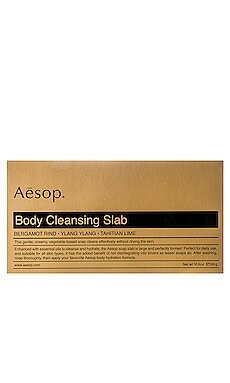 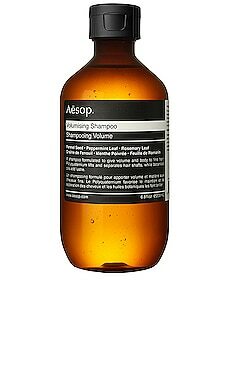 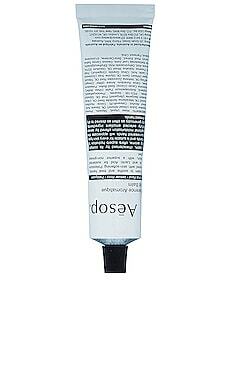 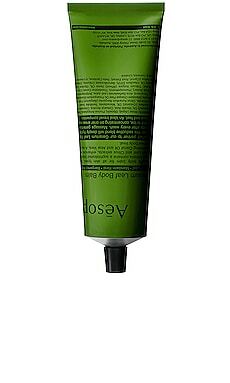 Established in Melbourne in 1987, Aesop aims to formulate skin, hair, and body care products of the highest quality. 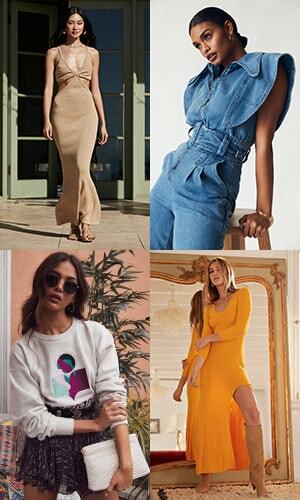 With safety and efficacy in mind, the brand sources a wide variety of plant-based and laboratory-engineered ingredients to create cutting edge formulas that promote a healthy and balanced routine. In addition to encouraging proactive self-care, Aesop believes in enriching one?s lifestyle with art and design. This resonates through the brand?s unique apothecary-inspired packaging that transforms any bathroom into a chic spa experience.